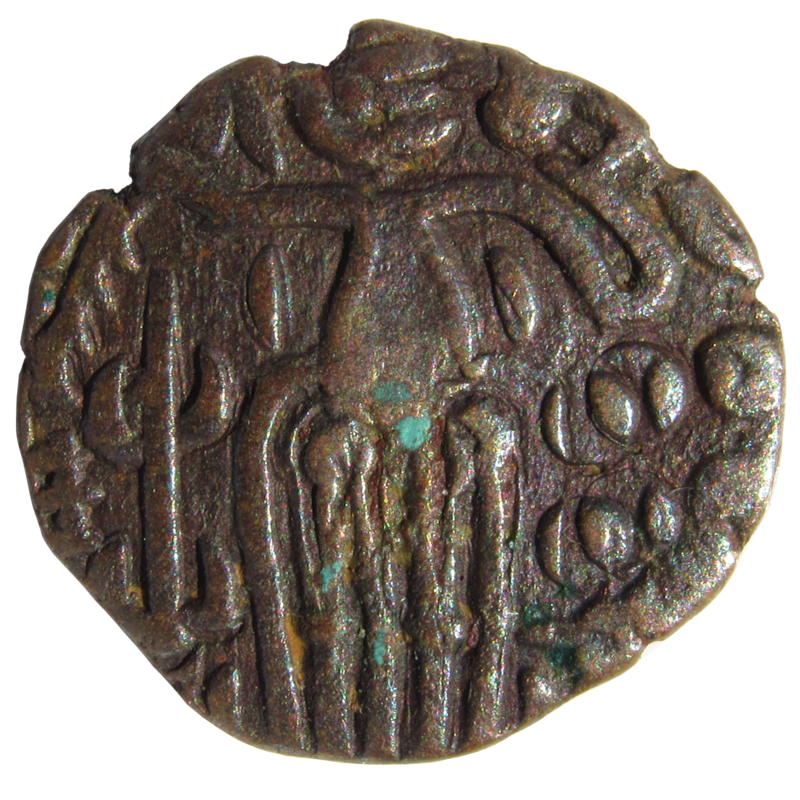 Standing king with head to right. Holds an item in left hand which is bent and held up to his face. The right hand is extended outwards and bent downwards over the temple lamp on left to high alter. A group of four spheres on right, surmounted by crescent. 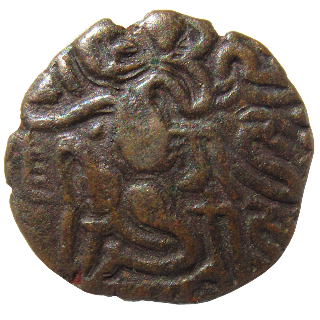 Chola coin of King RajaRaja Chola(985 - 1014) of Thanjavur in Tamil Nadu. Reference: Analysis of Rajaraja chola copper massa coins.